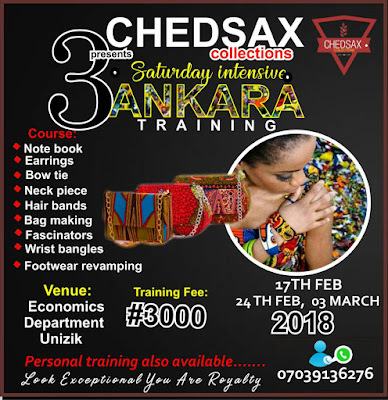 ChedSax Collection presents three (3) Saturday Intensive Ankara Training for interested individuals. 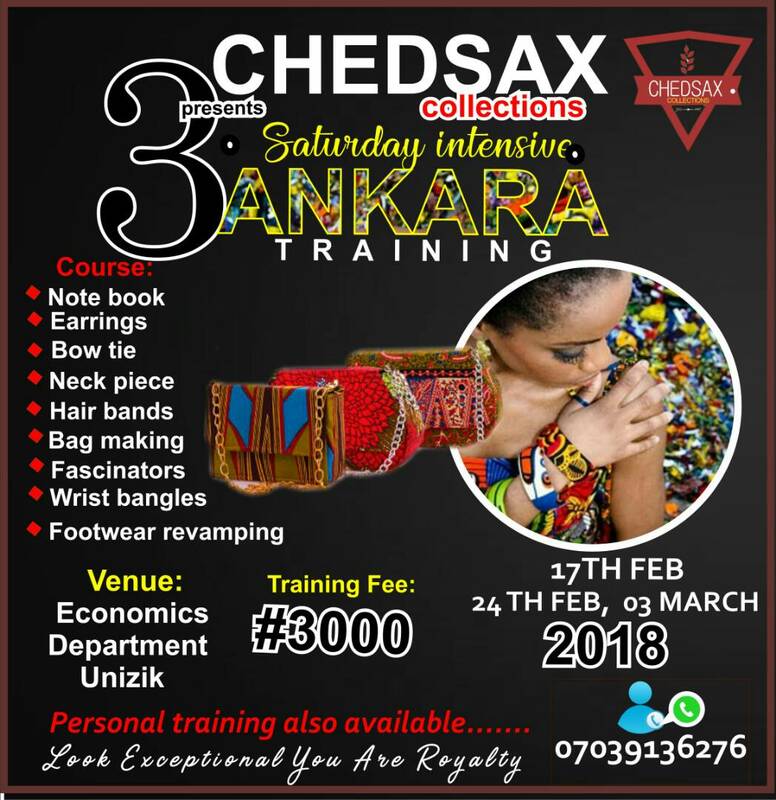 The training commences on 17th February, 2018 and the cost of the Training fee is #3,000. Nice one. This is exceptionally great. I love it when young people especially students develop interest in acquiring skills.